(CNN) – One physician had his prescription pad taken away after he repeatedly failed tests assessing his competency. Another was banned from treating mentally ill inmates and accused of endangering nursing home patients by prescribing excessive dosages of medications. At least three others had criminal convictions for illegal prescribing. Avanir Pharmaceuticals paid nearly 500 doctors to speak or consult on its drug, Nuedexta, between 2013 and 2016, according to government data. Through a review of the top prescribers and top paid physicians in this group, CNN identified a dozen who have been disciplined by state medical boards. These offenses included the harmful treatment of nursing home residents and “grossly negligent acts” involving the inappropriate prescribing of dangerous and addictive drugs — resulting in probation, suspension, fines and revoked licenses. Nuedexta is approved by the Food and Drug Administration to treat a rare condition marked by uncontrollable laughing and crying, called pseudobulbar affect (PBA). But in a recent investigation, CNN found repeated examples where state regulators discovered doctors had prescribed Nuedexta to dementia patients, purportedly for PBA, when it was actually being used to control unruly behaviors. This medication has experienced a massive jump in sales in recent years, propelled by prescriptions to nursing home residents for whom the drug may not be necessary or even safe. After CNN’s initial report, the Los Angeles city attorney announced that it was launching a probe into Avanir, examining whether the company broke state or federal laws in the sale, marketing or prescribing of Nuedexta. The city attorney said it will likely examine certain doctors paid by the company as part of this. They are basically being signed up as a sales force. Former Avanir employees say that the company’s speaker program, where Avanir seeks out physicians and pharmacists to present about the drug to everyone from medical colleagues to nursing home employees and administrators, has been essential to its growing success. Between 2013 and 2016, Avanir and its parent company, Otsuka, paid doctors nearly $14 million for Nuedexta-related consulting, promotional speaking and other services, according to government data. Paying doctors for promotional speaking is legal and is defended as a way for experts in their fields to share important experience and information about medications, but it’s long been a controversial practice. When asked about the doctors CNN identified as having disciplinary records, Avanir said in a statement that it works with experienced and knowledgeable doctors to “advance effective treatment options for people suffering from central nervous system disorders,” a category that includes Alzheimer’s disease. The company noted that it complies with all legal requirements when doing this and said it has a system in place to screen the physicians it works with. 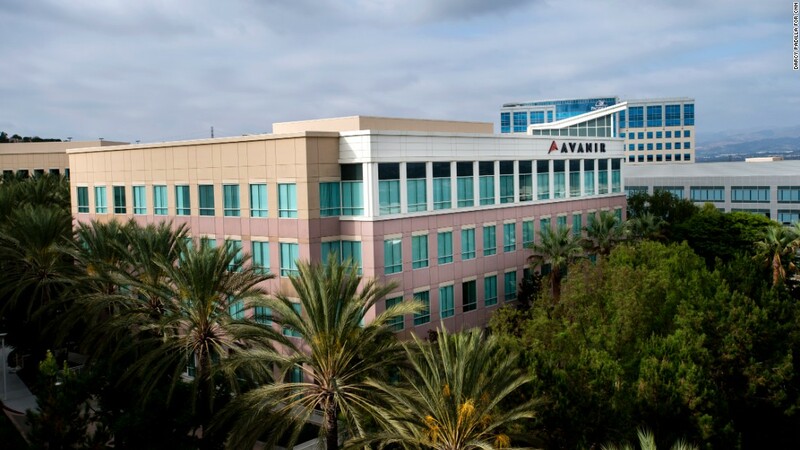 Avanir Pharmaceuticals, based in Aliso Viejo, California, is the maker of Nuedexta. At least one of Avanir’s speakers is currently under federal government investigation, accused of accepting kickbacks in exchange for prescribing Nuedexta. The Office of Inspector General for the Department of Health and Human Services confirmed there is an active investigation into Raheja, but declined further comment. Raheja denied that he had received kickbacks or been involved in any kind of Medicare fraud in his 25 years of practice. According to government data, Raheja received nearly $300,000 in payments for speaking about Nuedexta, as well as meals and travel, from the drugmaker between 2013 and 2016. Academics interviewed by CNN who have researched pharmaceutical payments and industry ethics said physicians associated with research institutions — and even some strict private practices — are typically barred by their employers from these relationships entirely, and there is a concern that those doctors willing to accept large amounts of money from pharmaceutical companies will tend to be more likely to put financial incentives ahead of patient care. Michael Santoro, a Santa Clara University professor and an expert in pharmaceutical industry ethics, said the use of doctors with these kinds of pasts is problematic, calling it a “scheme” used by the company to sell more pills. Avanir said it “vehemently oppose(s) any mischaracterization” of its interactions with physicians and other members of the medical community, explaining that these relationships are ethical and are used as a way to share important information and raise awareness of medical conditions and treatments that could help patients. And while many of the medical board issues identified by CNN among Avanir speakers involved the prescribing of powerful opioids and psychotropics, one case centers on the use of Nuedexta. Oregon physician Robert Tilley had already been banned from providing mental health treatment to inmates when he was summoned to face the state medical board yet again — this time for his prescribing of Nuedexta, among other concerns regarding his care of four nursing home patients. This complaint, filed in 2016 by the Oregon Medical Board, accused Tilley of attempting to prescribe the medication to a 66-year-old nursing home resident when there was no support for a PBA diagnosis. The state’s complaint also alleged that Tilley had placed these patients in danger by inappropriately prescribing medications, altering dosages and discontinuing drugs, without explaining the rationale. One of his patients, a 68-year-old man who suffered from schizophrenia and was on dialysis, died after Tilley unnecessarily doubled his methadone and prescribed him an additional opioid, according to the medical board complaint. Another patient, a 62-year-old, wheelchair-bound man with dementia, ended up being treated for an overdose in the emergency room after Tilley prescribed him a powerful cocktail of opioids and other drugs. When the patient returned to the nursing home, Tilley then prescribed the same patient “excessive dosages” of methadone, in addition to an opioid and a benzodiazepine, the medical board stated. Despite these allegations involving nursing home patients and Nuedexta use, his active ban from treating prisoners, and at least four separate malpractice lawsuit settlements, government data shows Tilley was being paid by Avanir to speak publicly about Nuedexta. Tilley received $22,125 in speaking payments, travel and meals from Avanir between 2015 and 2016. He was also one of Nuedexta’s top Medicare prescribers in 2015, writing hundreds of prescriptions for more than 50 patients (adding up to more than $200,000), according to government data. Tilley said he has been unfairly targeted by the state medical board after complaints were filed against him because of personal vendettas. He denied any wrongdoing, and said he would never overprescribe a medication or otherwise harm a patient. “If I were incompetent, why would they be letting me practice?” he said, noting that the board actions had not resulted in the revocation of his license.He blamed the death of his patient referenced in the board’s complaint on the nursing home, which he said took the resident to other physicians who prescribed narcotics on top of the methadone that Tilley had administered. He also said he became a speaker for Avanir only after he had already been prescribing Nuedexta and had seen some success with it in his patients. He said that he never broke any laws and that he only prescribed Nuedexta if they suffered from PBA or he thought it could benefit them, noting that it had far fewer side effects than dangerous antipsychotic medications often used to treat these patients. He also said that he carefully monitored for side effects and would discontinue Nuedexta if it didn’t seem to be working. He said he generally stopped the medication for about half of the patients he put on the drug. The 2016 complaint about the prescribing of Nuedexta and other drugs in nursing homes is still pending, meaning there has not yet been a final board action or finding of wrongdoing. He also denied the charges against him regarding his improper treatment of prisoners, though he settled the case. Tilley said he has since retired from practicing medicine altogether and that he gave his most recent and final presentation on Nuedexta earlier this year. Offenses included the harmful treatment of nursing home residents and “grossly negligent acts” involving the inappropriate prescribing of dangerous and addictive drugs. 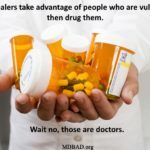 Most of the Nuedexta speakers identified by CNN with medical board actions were reprimanded for their treatment of the elderly, excessive or illegal prescribing practices, or insurance fraud. State prosecutors accused Florida psychiatrist Gregg Friedman of billing the Medicaid program more than $1 million, for example, saying that much of the money was for patient visits that never happened. In 2000, he was charged with felony grand theft and “organized scheme to defraud,” in addition to 18 counts of Medicaid fraud. CNN wasn’t able to determine the resolution of his criminal case because the records were destroyed under state retention laws. But the state medical board took action, suspending Friedman’s license and putting him on probation for five years. He settled the case without admitting guilt. Friedman, who has traveled around the country at Avanir’s expense long after he was disciplined by the board, received hundreds of payments from Avanir and Otsuka between 2013 and 2016 – totaling nearly $200,000. When reached by CNN reporters by phone, Friedman hung up after being asked about his work with Nuedexta. He did not respond to subsequent requests for comment. CNN identified other doctors who had clean records when they started speaking for Avanir, but landed in trouble while working for the company. New Jersey psychiatrist Dinesh Patel appeared to have an untarnished record until he came under investigation by the state in March last year, and was found to have inappropriately kept a patient on lithium for more than a decade. But even after being placed on probation by the state medical board for “gross negligence” in the treatment of this patient, who ultimately suffered kidney failure, Patel continued to receive thousands of dollars in speaking payments from Avanir and Otsuka. Government data shows a payment was made to him as recently as November 2016 (though it’s unclear when that speech was made), and Patel received almost $80,000 from Avanir between 2013 and 2016 — most of which was for speaking. As part of Patel’s probation with the medical board, he was ordered to complete a comprehensive assessment of his skills, and failed three different exams about psychiatry, ethics and the therapeutic uses and effects of drugs. After that, the medical board demanded in November of 2016 that he stop all prescribing — limiting him to only verbal psychiatry. Even after completing recommended education and retaking the exams, he failed all three again and proceeded to permanently retire from medical practice (without admission of wrongdoing) and voluntarily retire his New Jersey medical license in July of 2017. Patel declined to comment for this story, but he did confirm that he is no longer a practicing psychiatrist. Avanir confirmed that the company no longer has “contractual” relationships with Patel, Friedman or Tilley.